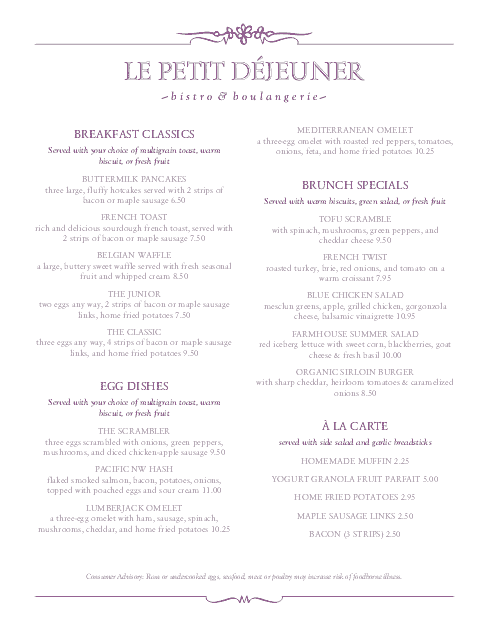 A simple breakfast menu with a French style. 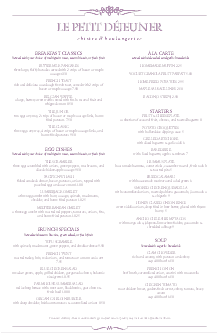 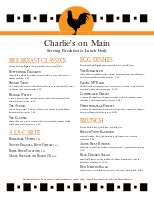 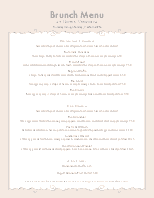 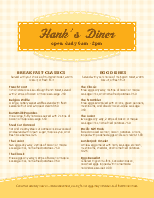 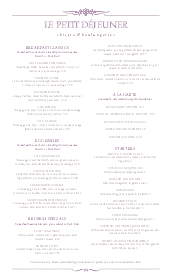 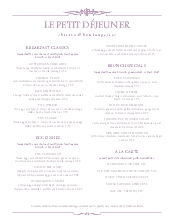 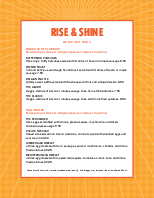 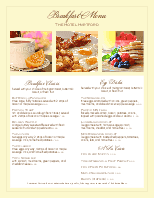 The breakfast menu features a simple two column design for main dishes, beverages and sides. 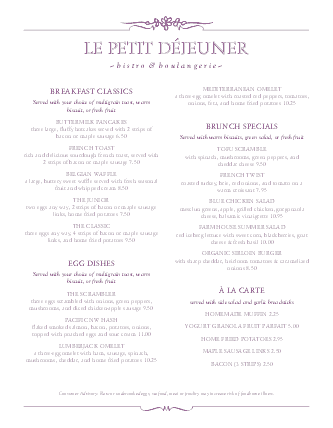 Delicate flourish designs in rich purple add an upscale touch. 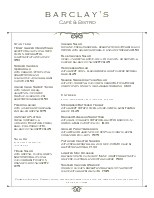 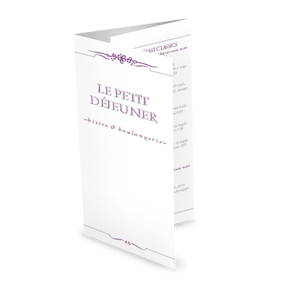 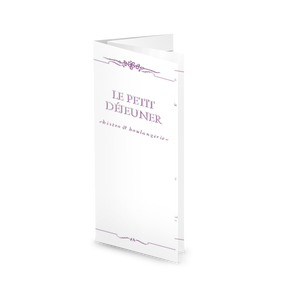 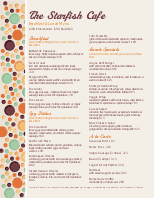 This menu can be customized online, with a range of paper sizes to choose from.